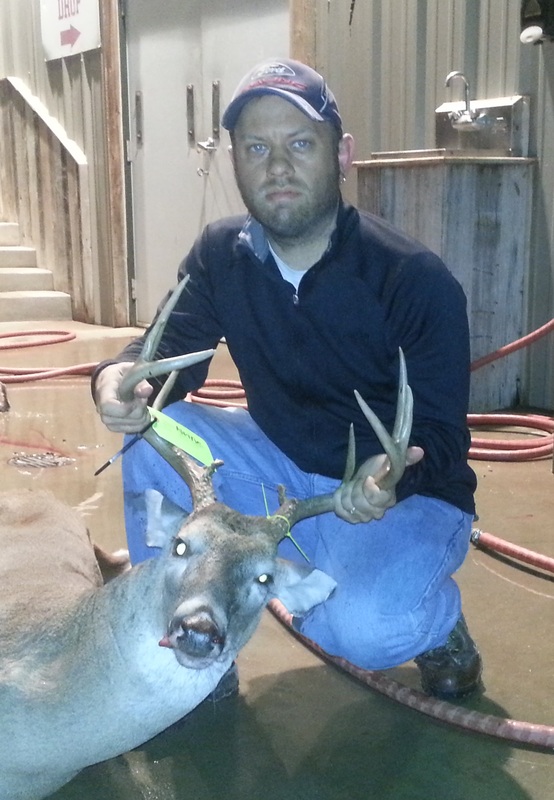 The attached picture is the buck that I shot on 11/9 from the Sendero stand for season 2013. This buck was a 10-point and weighed probably about 150lbs after field dressing. The processor didn’t give me an exact weight, but I also forgot to ask for one. The night I shot this guy, he was the only deer I saw, after Justin had sat in the stand that morning and seen about a dozen deer. In fact, he shot his buck that same morning, which ended up being a very-wide 6-point. This 10-point came out from the creek behind the feeder, on the road-side of the sendero. 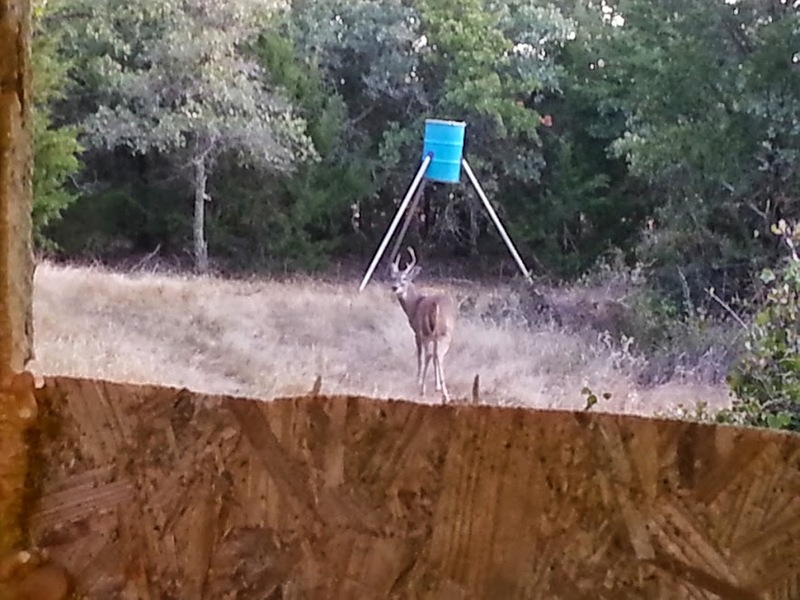 He fed for a bit around the feeder before I shot him, and at one point I thought I had lost him because he was down the slope that is hard to see from the stand. But after he reappeared, I shot him on his left side, and he ran about 15 yards into the woods, lease-side of the feeder. It was around 5:05pm. I waited 15 minutes, then walked down and found him just inside the treeline. 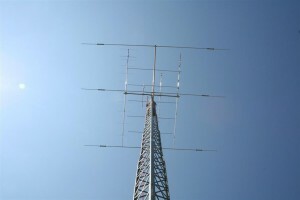 I’ve decided that I want an antenna tower, but they are so expensive, at least for a new one, that I am weighing my options right now. I have found a few on craigslist, and a few more on ebay, but of course you have to pay for shipping on ebay. 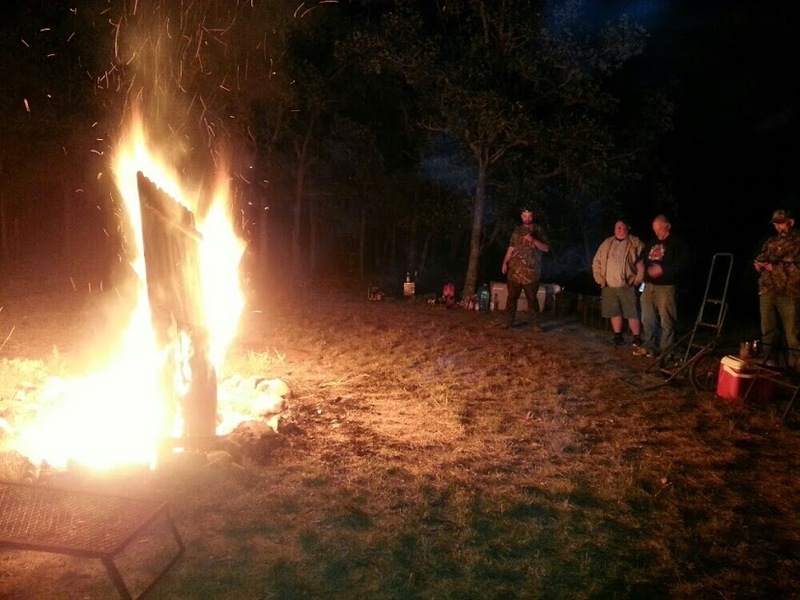 Craigslist is local and you can drive to go pick it up, but some people have existing towers they want to sell and require you to take down yourself, which I am not crazy about doing. For a brand new 30-40 foot tower, I could spend anywhere from $300-$1000. I found one guy from Temple selling a 40-ft for $200, but I’ve emailed and called him and he isn’t responding, so I bet he has sold it. People: If you list an ad on Craigslist and then sell the item, removing the freaking ad! It isn’t rocket science…. Anyway, I haven’t yet decided what I am going to do. I could probably keep looking and find a good price for one on Craigslist, and that might be the way that I go, but I also have an idea for a homemade tower that I think I may try first. I’ve already assembled a couple of versions of this tower, but in my mind I have a new version that it taller and more stable than my current setup. It is built out of Galvanized pipe, normally used for water supply lines. Here is a link to the brand/type at Lowes. My ambition for this new configuration came to me after getting my hamshack setup, but also from the Antenna and Tower setup that KM5RF has. I spoke to Maurice on the Arlington repeater the other night and he directed me to his website, and wow. This is a bit extreme for my current location, but I think I can do something on a smaller scale . I’ll post more about this as the project comes to fruition. This is a repeater list that I have been working on for some time, but it is likely outdated because I haven’t made any updates to it in about a year. I went through the Notes section just now and changed a few things but I think some of these frequencies are no longer active. I will be testing each of these repeaters and updating the Notes section for each one. Check back frequently for updates. Any comments or info about any of these machines is welcome also. 21 145.430 - K5DM 110.9 Dallas Texas TIARC. Open repeater. 23 146.880 - W5FC 110.9 Dallas Texas Dallas Amateur Radio Club. Open Repeater. An Excellent Machine. 46 145.17- W5FKN 110.9 Lewisville Texas I used to talk on this machine all the time-good group of guys. This past weekend I changed my antenna mast just a bit, and the result is a 3rd arm for another antenna and the main mast section being 2 feet higher in the air. I had had the main mast in 2 pieces; a 10′ section and a 4′ section. Connecting the two sections was a T-style connector which added a perpendicular arm to the 14′ section. The perpendicular arm was 18″ long with a 90 degree elbow on the end of it, and a 4″ section of pipe pointing straight up from the elbow. This 4″ pipe allowed easy mounting of a 2nd antenna to the entire system with U-bolts. 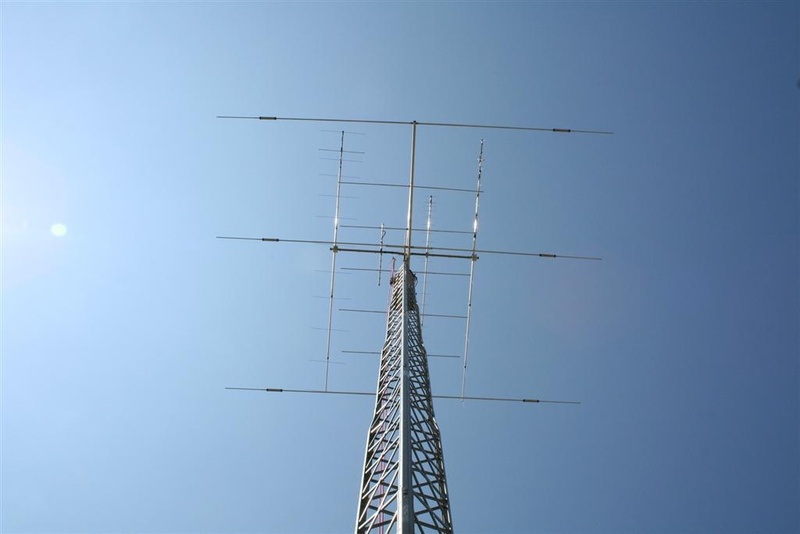 I had the main mast mounted to the back of the Ham Shack with a railing system, and it was 4′ off of the ground, making the main antenna sit 18′ in the air at its base. The change I made was to remove the 4′ section and replace it with a 3′ and a 5′ section, then I dropped the main mast down 2′, making it 2′ off of the ground. This creates a 20′ base for the main antenna; 2′ from the ground, +10’+3’+5′ of piping. Also between the new 3′ and 5′ section I added a second T-style connector and another 18″ arm for a 3rd antenna. My plan for the 3rd arm is a 200MHz J-pole. In total this will give me a 2-meter antenna at the top (20′ in the air), then a 220MHz antenna 5′ below that (15′ in the air) then finally a dual-band 2m/70cm J-pole (12′ in the air). I also hung a 6-meter J-pole in the tree behind the Shack that you can somewhat see in the pic above, to the right. It is a 12′ antenna and it hanging from a branch that is right at 12′ from the ground, so the height isn’t ideal. But I was able to hit the Ft Worth and Cedar Hill 6-meter repeaters last night. 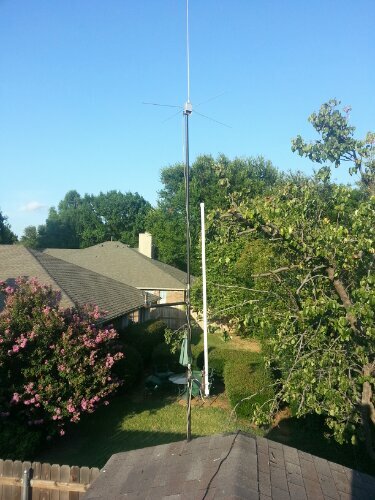 I plan to change this up somehow, with hopes of getting the antenna higher up for better TX/RX ranges.